Our conscientious finishing crew understands the steps necessary to create a quality finish. Wingate Architectural Millwork Company's commitment to provide the best quality craftsmanship includes a focus on providing the best products for each project. 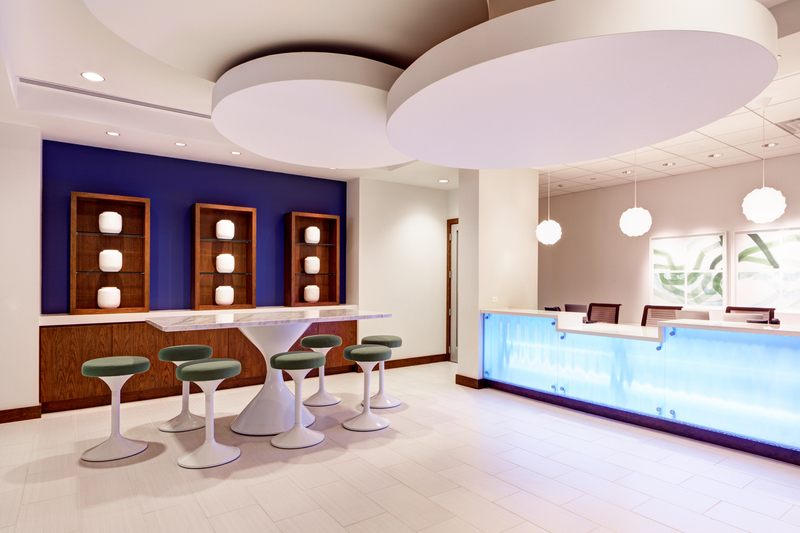 Wingate Architectural Millwork Company is proud to offer DuPont™ Corian® solid surface — a material with endless potential that stands as one of the most versatile materials in the global marketplace today. Flowing, virtually seamless, organic shapes, bold effects of color and translucency — if it can be imagined, it can be created with Corian® solid surface. Corian® is available in a vast range of trendsetting patterns, tones, and custom-designed colors. In baths and kitchens and beyond, throughout homes and hospitals, restaurants, and public spaces, Corian® solid surfaces deliver high performance and outstanding aesthetics that inspire creative flights of design fancy, combined with functionality.